Did you know that 50% of small business expenses are generated on the go? It’s no wonder the majority of receipts for campground expenses end up shoved in coat pockets or an old shoebox. Why not take the uncertainty and disorganization out of tracking campground expenses by going mobile? These four apps can be used anywhere, anytime, to ensure no campground expenses go unlogged or unclaimed. Integrating with your campground’s accounting data in Xero, the Xero mobile app will allow you to manage key functions of your accounting and bookkeeping while on the go. Among some things that the Xero app will allow campground owners to do that will be helpful with their bookkeeping include reconciling transactions, managing campground expenses, creating a spend money or receive money transaction, adding receipts or expense claims, and viewing their campground’s cash flow. Receipt Bank also integrates with Xero accounting software to streamline your bookkeeping and will help you audit proof your business. Never have to worry about keeping up with paper receipts again. MileIQ is an automatic mileage tracker that takes the hassle out of keeping a mileage log. I think you’ll find it helpful for logging your business drives! The MileIQ app runs in the background on your phone and logs every drive automatically. You swipe each drive to classify it as business or personal, and MileIQ calculates the value of your deductible mileage. You can add details like parking, tolls, purpose, and vehicle and have an IRS-compliant mileage log practically effortlessly! Your log gets synced to the cloud, so you can get to it any time, even years down the road. You’ll be able to claim the full value of your mileage deduction with total peace of mind! 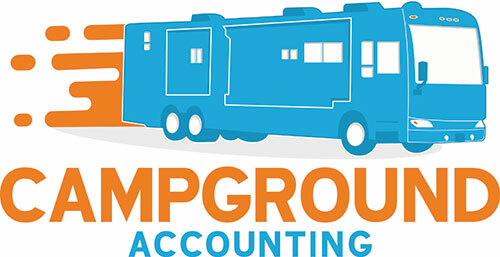 Processing campground payroll is a headache especially if you are manually writing the checks, making the payroll tax deposits to each agency and filing the reports. 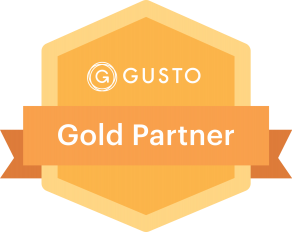 Gusto takes the headaches out of campground payroll with a fully automated system that you and your employees will love. Direct deposit to your employees on pay date and they’ll get a fun email telling them that their money is on the way to their bank account. Never worry about having money set aside and managing deadlines for payroll again. Gusto can also help you manage your Human Resources and Benefits needs too. You can eliminate the headaches of on boarding new campground staff. In addition, they will keep track of vacation and paid time off with less headaches and manage time-off requests easily. Get started for as little as $39/month and $6 per employee per month. Try it for FREE for your first month and let us know what you think. If you are moving from another service, we can even help streamline the transition if you use our link to sign up. We know you’ll love it! With mobile apps like these, you’ll never lose track of receipts or deductible campground expenses ever again. Here’s to building your campground with smart technology that moves as quickly as you do!